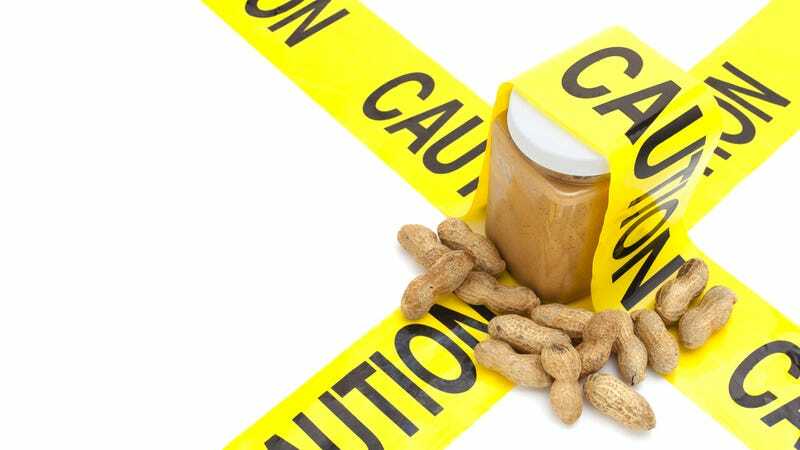 To a nut-allergic person, a peanut is a little grenade of discomfort and danger. So a small study published this week, showing that kids with severe peanut allergies can increase their tolerance through gradual exposure, is great news for allergic children and their caretakers. Just please, don't try this technique at home. The Cambridge research team gave 85 kids with peanut allergies a gradually increasing amount of peanut protein over the course of six months. By the end, 88% of those kids were able to tolerate five peanuts' worth of the allergic-reaction-inducing protein without ill effect; in fact, over half of the group could safely tolerate twice that amount. By comparison, none of the placebo patients showed any increase in peanut tolerance. To a person who can eat a PB&J without incident, five or 10 peanuts doesn't sound like a large dose. But as study leader Dr. Andrew Clark told The Guardian, that dose is "well above the levels found in contaminated snacks and meals, freeing [allergic children] and their parents from the fear of a potentially life-threatening allergic reaction." That level of tolerance, Dr. Clark said, dramatically transformed life for some of the families involved. Seriously, do not try this at home. The children in this study were started out on extremely small doses of peanut protein, administered in a medical setting where a bad reaction could be treated immediately. And while the preliminary findings are hugely encouraging, the researchers don't know if the increased tolerance is permanent. Further testing on larger groups will be necessary.